For the last 27 years, Kenny DeMoss has been coaching basketball in the Mid Ohio Valley. In 2005, Coach DeMoss began his head coaching career at Vincent Warren Local High School in Ohio. In two seasons, he had a 30-15 record, accounting for a 2006 SEOAL Championship, a 2007 SEOAL North Division Championship, & a 2007 Sectional Championship. Coach DeMoss was also named 2006 SEOAL Coach of the Year and 2006 Ohio District 13 Coach of the Year. 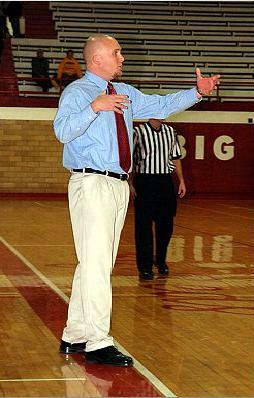 In 2007, Coach DeMoss was named the new Head Coach at Parkersburg High School. In his 2nd season, the Big Reds improved in every statistical category including 300 more points scored than his first season. To finish the season, the Big Reds netted 205 3-pointers and was in the top 5 in the nation for 3-pointers made per game. Now in his 8th season, Coach DeMoss is finally reaping the rewards of past campers preforming at a high level in high school. In 2016, the Big Reds had its best season in the last 19 years. In 2017 the Big Reds made their 1st state tournament trip in 20 years. Coach DeMoss has worked many summer basketball camps, including Hall of Fame Basketball Coach Morgan Wooten’s Basketball Camp for 15 years. Prior to this, he spent 14 seasons as the Assistant Head Girl’s Basketball Coach at Parkersburg High School and was a part of 5 State Championships. In 1998, Coach DeMoss got weary of seeing offensive skills starting to dwindle in upcoming players so he decided to start an offensive skills camp. Since that first year, he has seen drastic improvements in campers who have continued to practice the skills taught in this camp. Since it’s inception, he has helped contribute to multiple campers become 1000 point scorers; 3 in his tenure as head coach at PHS! 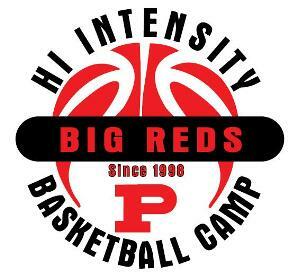 Since 1998, the goal of Hi Intensity Basketball Camp is to help develop a well rounded, fundamentally sound, offensive basketball player. We stress confidence, effort, sportsmanship, and the correct fundamentals which we feel are important parts of achieving in life and on the basketball court. Our camp is designed by Coach DeMoss and his staff to help any player on any level. We will work with each individual camper, stressing whatever he or she needs to do to improve his or her abilities, attitude, & fundamentals. Each day campers will work on the offensive fundamentals of ball handling, shooting, footwork, passing, moving with and without the basketball in order to help build skills as an offensive player; other intangible fundamentals like defense and rebounding will be incorporated daily. Each camper will also receive a t-shirt & a report card at the end of camp that will give them tips to help improve their overall individual skills.